I'm so happy to finally be able to share this pie with y'all! 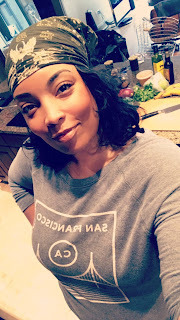 I've been sitting on it for what feels like an eternity, but between my Whole 30 round and traveling I didn't have the opportunity to test pie recipes. Luckily, it was pretty close to perfect on the first attempt and the second try was just a matter of tweaking a couple things. Mango. Pie. I'm salivating just thinking about it all over again. This pie has always been an idea and my first attempt dates back several years ago. Most of the mango pies I've made were more like peach pies, with chopped pieces of ripe mango. 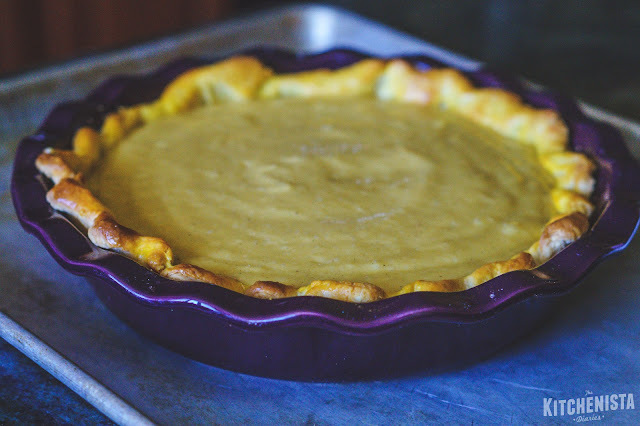 It works, but fruit pies are finicky and the texture of mango can be fibrous at times. What I really had in mind was a solid, creamy mango filling that would hold up to being sliced and didn't need gelatin. 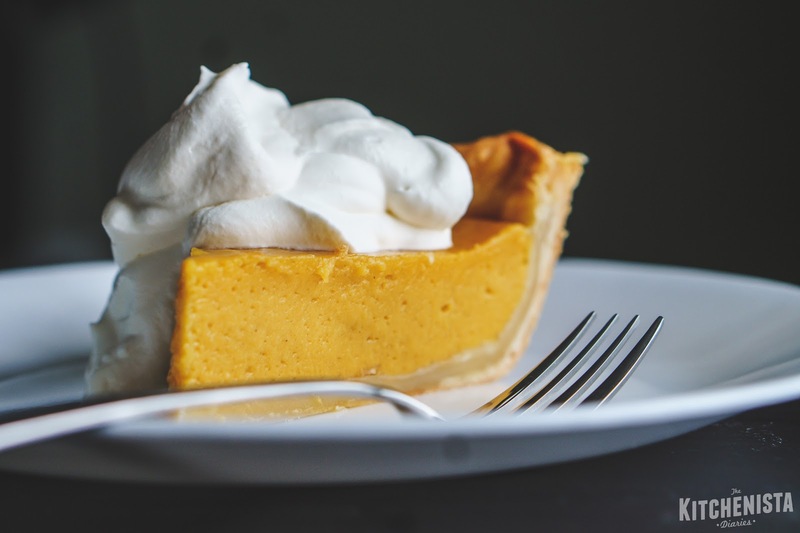 I had my "aha" moment after spending the holiday season mastering custard pies for my Thanksgiving ebook. 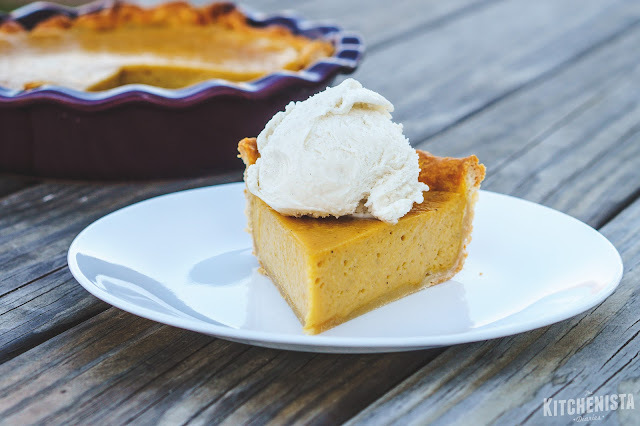 Sweet potato pie, pumpkin pie and buttermilk pie are all custards, so there are some techniques I learned that helped me develop this recipe. 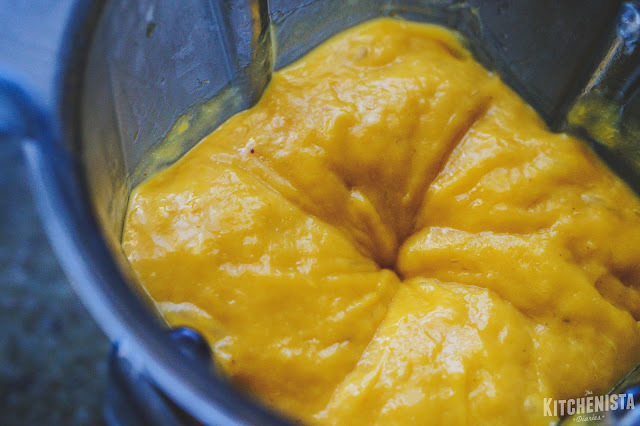 It occurred to me that I could probably puree the mango and use a similar baking method to get the texture I was after. It worked on the first attempt! The first mango pie was dreamy. Sweet, firm but creamy, and a mango-forward flavor. I roasted the mangos first which dried them out some and intensified the flavor (especially important considering I was using mangos in the dead of winter.) The only hesitation I had was my inclusion of some sweet potato puree, which added starch for structure. The sweet potato flavor didn't come through at all, which was good, but in the final recipe I wanted to make it a true mango pie. I ended up using a little bit of cake flour the second time around, which worked in my buttermilk pie to reinforce the custard. Success! Pure mango flavor in a sliceable baked custard, with even more of a jiggly, slightly gelatinous texture. 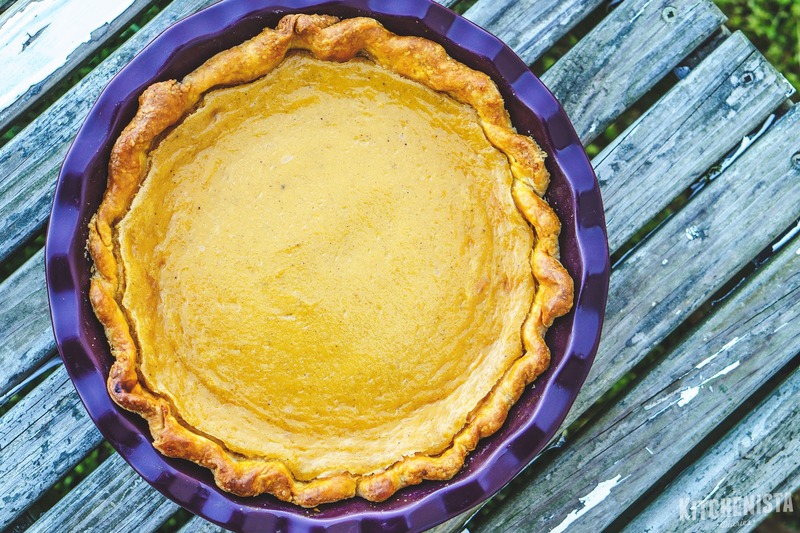 (It still looks similar to a sweet potato pie, but it'll be fun to surprise your guests with something new.) This pie is awesome. I used my buttermilk pie crust, blind baked to ensure a crisp pastry shell. A standard pastry crust would work, but I think any kind of crushed cracker or gingersnap crust would also do the trick if you're looking for a faster option. The mango filling is subtly spiced with notes of cardamom, cinnamon and nutmeg, with a little bit of heat from fresh ginger. The sweetness of the mangos is enhanced with honey and coconut milk. 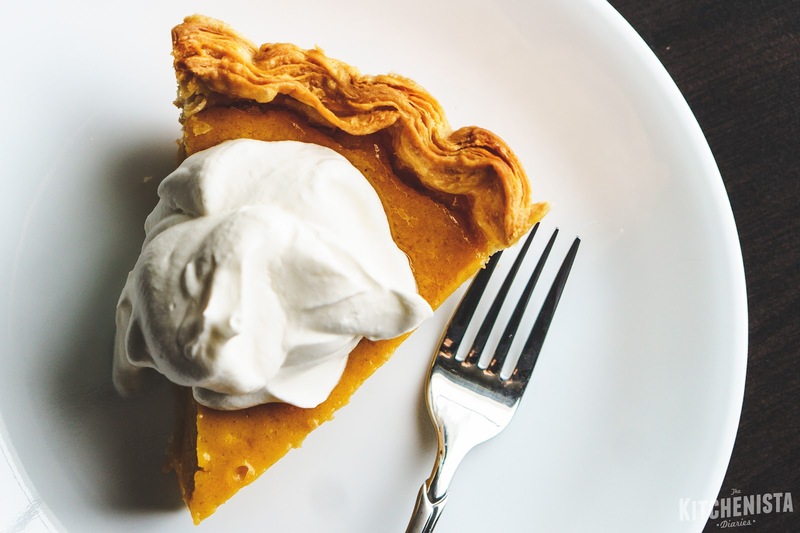 Top the pie with freshly whipped cream, coconut whipped cream, vanilla ice cream or coconut ice cream. 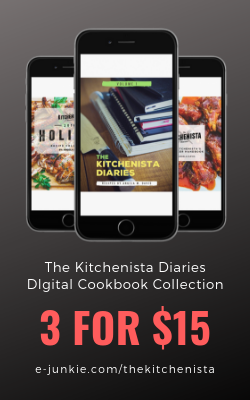 It's perfect for the summer and complimented my West Indian dinner menus well. But I'm going to stop talking about it now so you can go and make one. 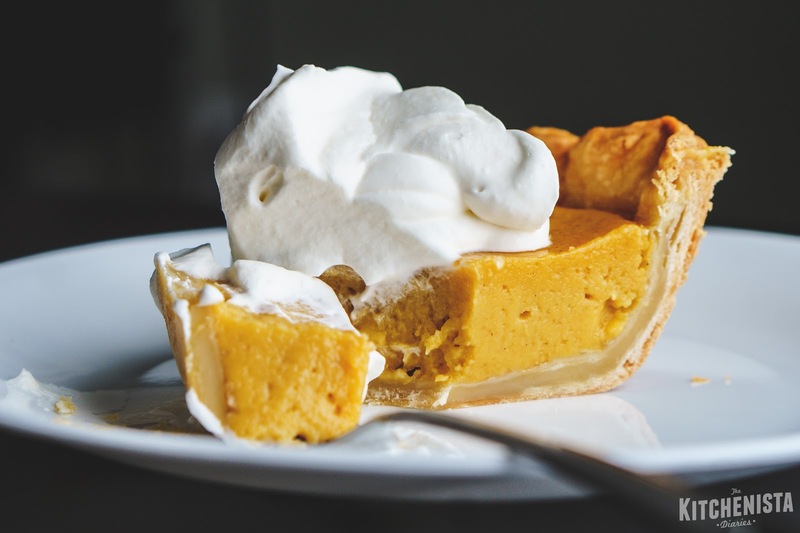 You definitely want to make this mango pie! 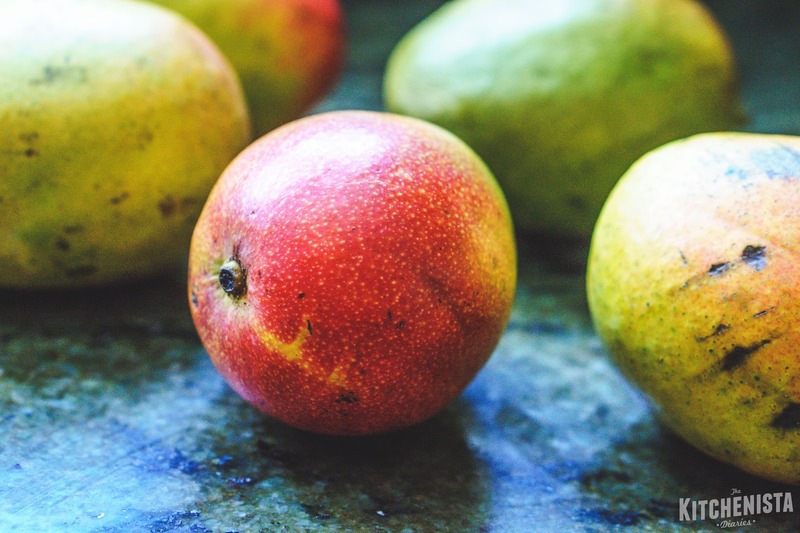 To prep the mangos, preheat your oven to 375° F. Peel the mangos and slice off the flesh, discarding pits. Toss the flesh with 2 tablespoons of melted butter. Arrange on a parchment lined baking sheet. Roast for 30 to 40 minutes, just until the mangos start to turn brown around the edges. Blind baking is when a pie crust is partially or fully baked before filling it. For custard pies, that gives the bottom crust a chance to begin cooking before it's covered with a wet filling, preventing a soggy crust. Because the crust will be baked when it's empty, you need to weigh it down. I like to use dried beans. Line the shell with a piece of parchment paper and fill it with beans up to the sides. Don't use foil, which tends to stick. You can buy a pack of pie weights, but beans are cheap and you can reuse them for future pies. Just store them in a plastic bag and toss after a few months or if they smell rancid at all. 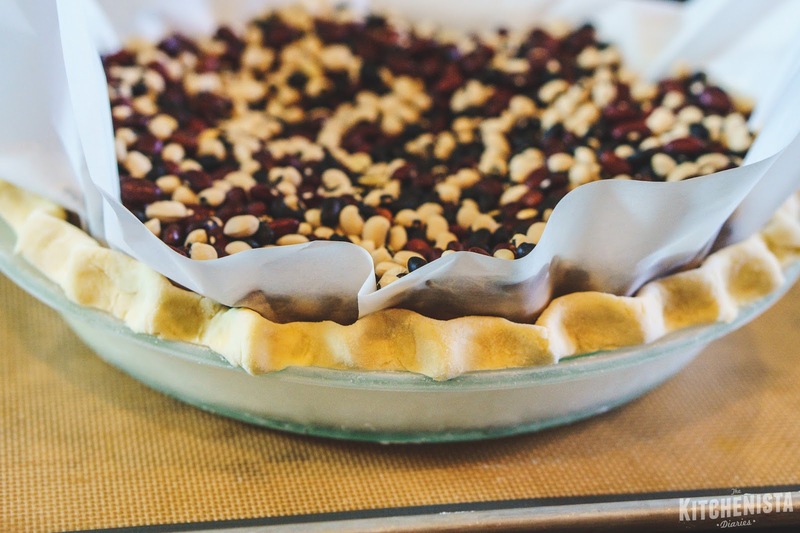 Heat your oven to 425° F. Set the frozen pie shell filled with beans on a heavy baking sheet, for easy transfer. Bake it for 15 minutes, or until the edges of the crust are just beginning to turn golden. You should make the pie filling while the crust is baking. 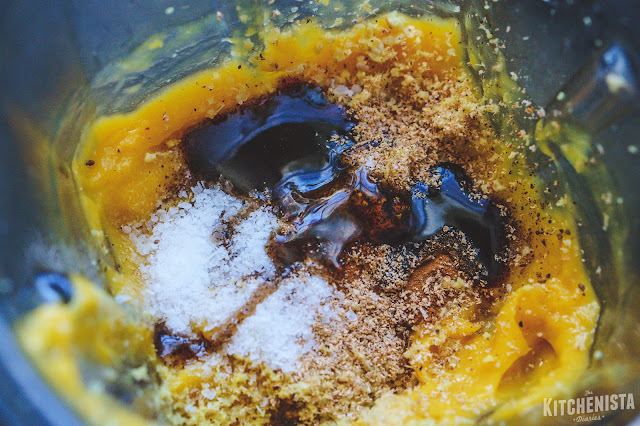 Start by pureeing the roasted mango, to measure about two and a half cups. Add the vanilla, sugar, honey, spices, grated ginger, lemon juice and salt. Pour in the can of coconut milk, then blend until it's a smooth mixture. Taste test for seasoning. Add the cake flour and blitz for a few seconds to combine. 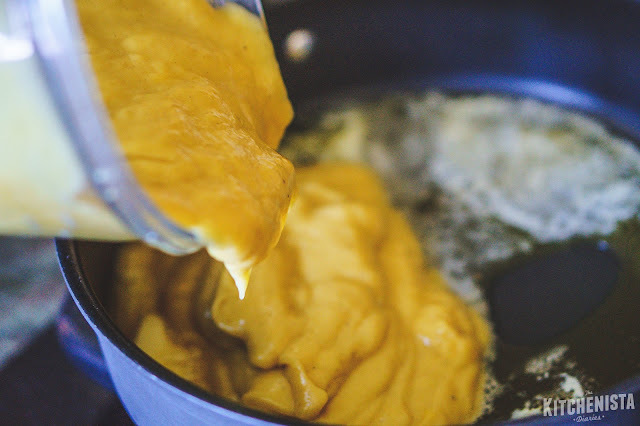 Melt the remaining 4 tablespoons of butter in your saucepan, over medium heat. Add the mango puree and heat to a gentle simmer, stirring frequently. Be mindful of the pie crust blind baking, so work fairly quickly here. The goal is to have a warm pie filling transferred to a warm pie shell, which will help the custard cook consistently. If you haven't already done so, prepare the egg wash by whisking together an egg yolk, 2 teaspoons of water and a tiny pinch of salt. After fifteen minutes, remove the pie shell from the oven. Carefully lift the parchment paper and beans out of the shell. 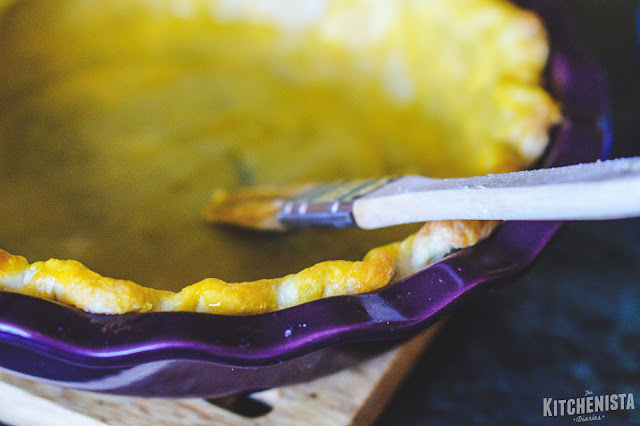 Use a pastry brush to coat the entire crust (rim, sides and bottom) with the egg wash. Transfer the shell back to the oven for another 5 minutes. In a separate bowl, beat the remaining 3 eggs and 2 egg yolks. (I don't like to waste eggs so I'll throw any leftover egg wash in there two, not a big deal.) Add a cup of the warm mango pie filling to the beaten eggs, whisking quickly to incorporate. This is called tempering the eggs, which brings them up to temperature so they won't scramble if added all at once to the warm filling. Pour the egg mixture into the saucepan while whisking the filling. 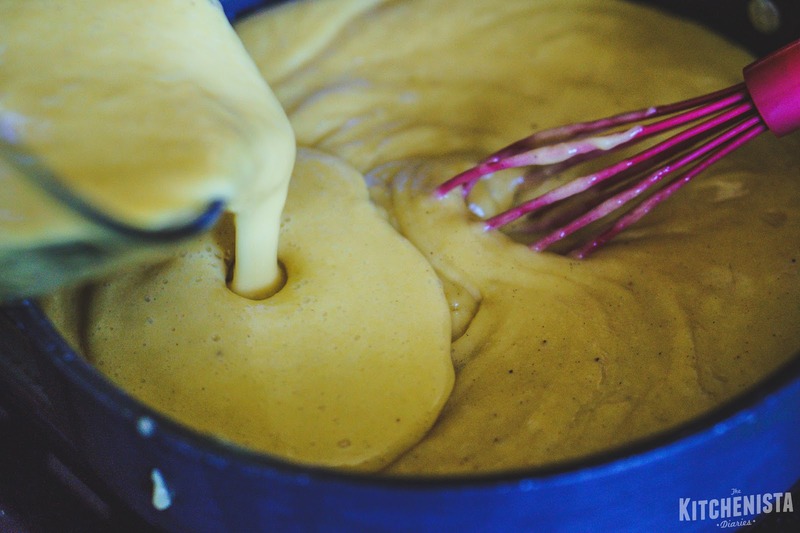 Continue whisking until no streaks remain and the mixture begins to thicken a little bit. After 5 minutes is up, remove the blind baked pie shell from the oven. 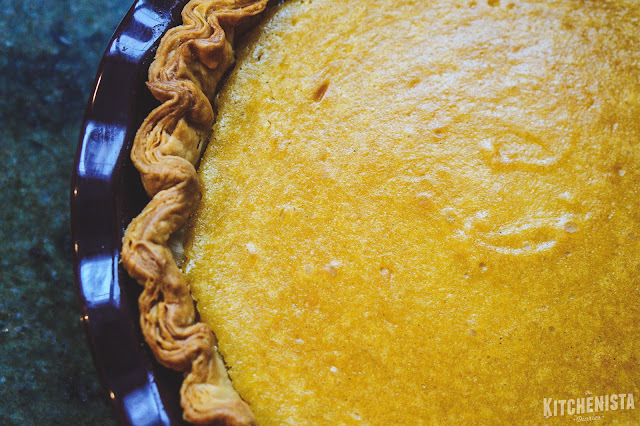 Lower the oven heat down to 325° F. Carefully pour the warm mango pie filling into the shell while it's still hot. Transfer the pie to the oven and bake at 325° F for 30 to 35 minutes. To check if it's done, very gently shake the baking sheet back and forth. The edges of the pie should be set and not appear wet at all, but the filling should just barely jiggle a bit in the center. It may be puffed up a bit, and that's fine. Here's the part that's really made a difference with my sweet potato and squash pies to prevent cracking. Turn the oven off. Leave the pie in the oven and the oven door open. Let the pie cool in the oven for 30 minutes, then remove it and let it finish cooling on the counter. 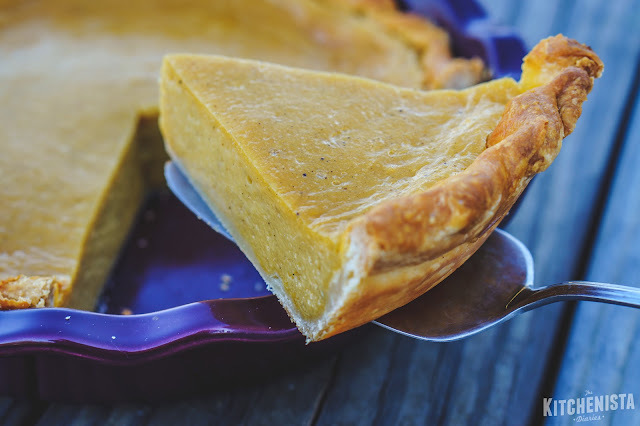 After the pie pan feels like it's at room temperature, you can go ahead and move it to the fridge to cool completely, preferably overnight. If you'd like to prepare the whipped cream, simply add the chilled heavy cream, vanilla, cardamom, salt and sugar to a large mixing bowl. Whip on high speed for a couple minutes, until soft peaks form. Or, just serve it with a scoop of ice cream. Do you see how cleanly that custard slices?! It's the stuff pie baking dreams are made of, in my world anyway. I won't admit how quickly this mango pie disappeared. I'm just going to say that it makes a decent breakfast, before the kids are awake... or so I've heard. Mango custard??!!! Sounds amazing. I have to try this. Oh gosh, I've been looking everywhere for mango pie recipes that don't use gelatin or aren't no-bake. This is the best one I've come across so far and I can't wait to try it out. Thank you! I can't believe how decadent this pie tastes, and this was just my first try. 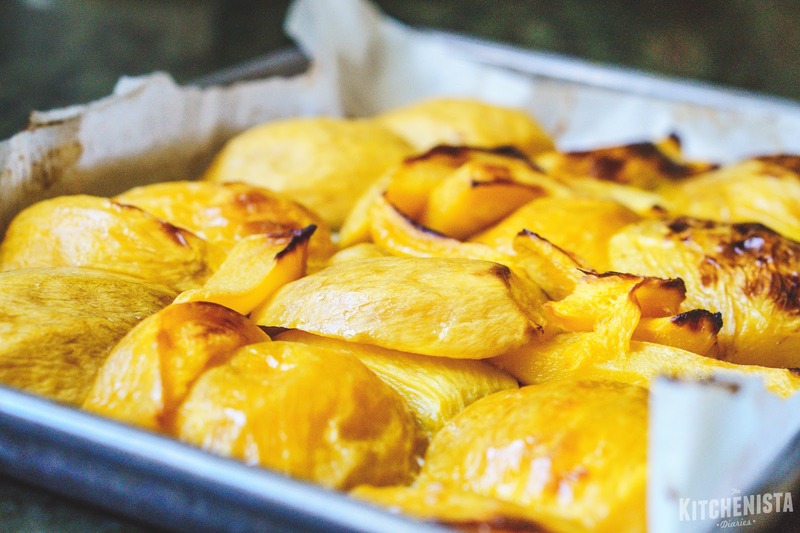 I used 4 almost-unripe ataulfo mangos that were incredibly sour, so I took didn't add any lemon juice to the filling. I also forgot to add the cardamom and cinnamon powder, but added the cardamom to the whipped cream so that made up for it at least. Despite these minor changes, everyone at home devoured it almost as soon as it cooled. I wish I could add photos to the comment to show how beautiful it turned out. Thank you so much for this recipe. I'll be using this as my-go to mango pie recipe now. God AlMighty. This has touched my dessert centre in a way it hasn't been touched in an awful long while ��. I want this, I need it.